Your vast experience and product knowledge within the industry means that I can trust in your expertise to find the most appropriate solutions for my organisation. Rachel Whitehead, Buyer, Polytech Holden Ltd. Experts who have for the past 10 years provided us with the best contract for all our mobile phone needs and a fitting service that is second to none. Mike Mockler, Managing Director, Seconds and Co.
Well Communications are an independent Worcestershire (UK) based company who have been specialising in mobile communications since 1986 and whose staff have a combined total of more than 40 years of experience in the Telecommunications Industry. We offer comprehensive support and back up for all of our products and keep you informed of changes in hardware, network services, and how they affect your individual or business communications. 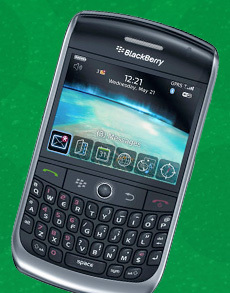 We offer a huge range of tariffs and phone combinations. We also stock the worlds' leading communication brands featuring products from Apple, Samsung, Sony, Nokia and Blackberry, together with a comprehensive range of accessories. We are always working closely with our suppliers to create better mobile communication packages to meet your demands. So as your requirements change, we can offer the best packages to best suit your business or individual needs. Because our staff are experts on the latest products and services, we can help you find the right solution for your needs, with lowest possible operating costs, whether it be business, lifestyle or security.